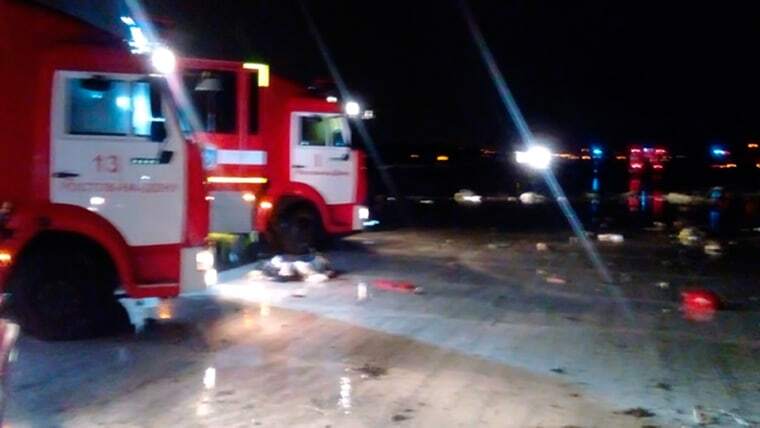 A Dubai airliner with 62 people on board nosedived and exploded in a giant fireball early Saturday in Rostov-on-Don, Russia. 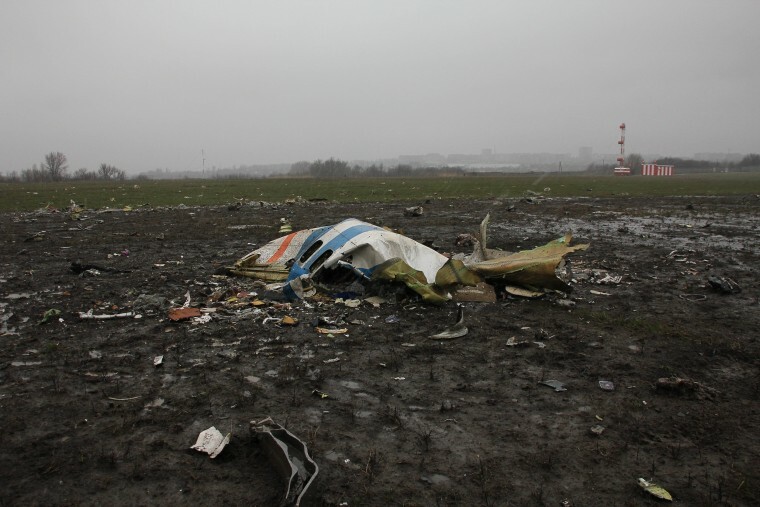 Fly Dubai Flight FZ981 crashed in Rostov-on-Don, Russia in the early morning on March 19, 2016. 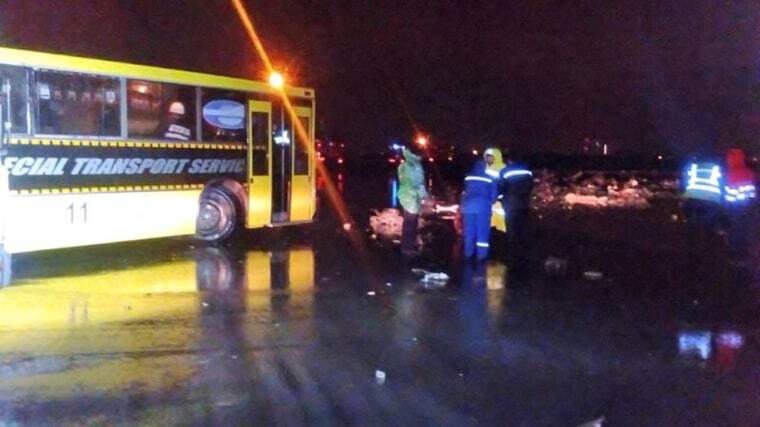 It was flying from Dubai to Rostov-on-Don, and crashed during its second landing approach. 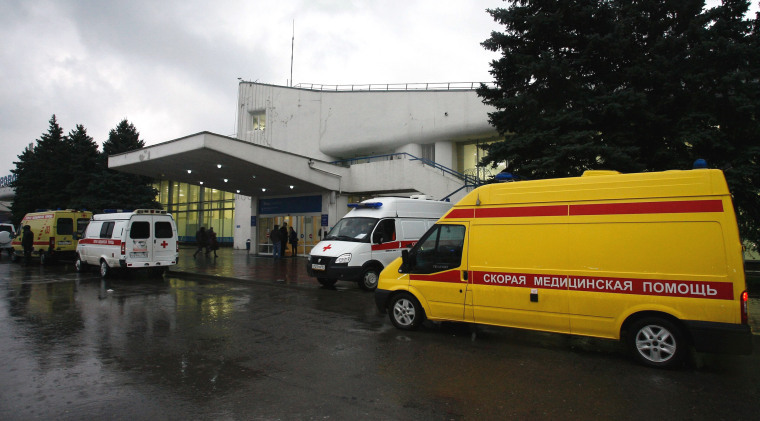 Russian emergency trucks are at the scene near the area of the plane crash at the Rostov-on-Don airport, about 600 miles south of Moscow, Russia Saturday. Ambulances stand by at the airport entrance following the crash. The aircraft, a Boeing 737-800, was carrying 55 passengers, most of them Russians, and seven crew members of various nationalities. No one survived the crash. 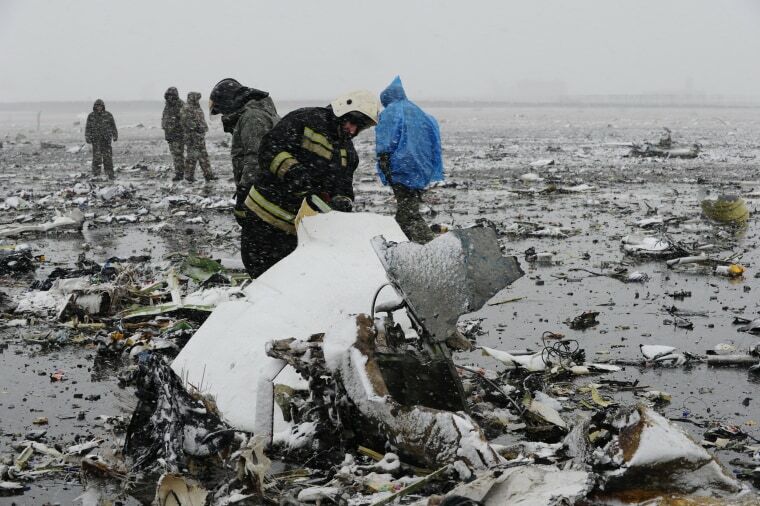 The powerful explosion pulverized the plane but investigators quickly recovered both flight recorders. The cause of the crash wasn't immediately known, but officials and experts pointed at a sudden gust of wind as a possible reason. 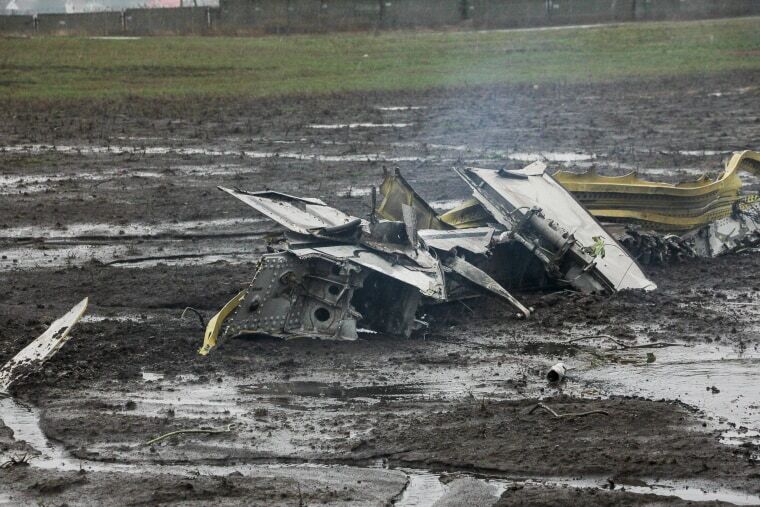 Wreckage of the crashed plane are scattered on the runway at the Rostov-on-Don Airport in Russia. 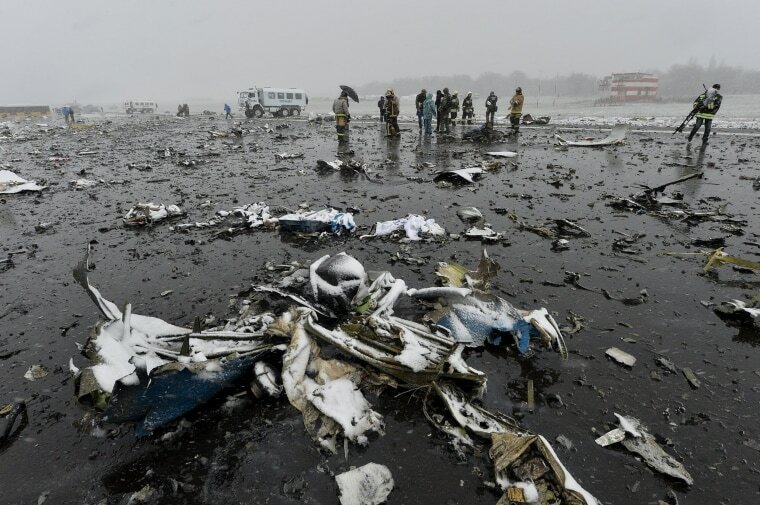 According to the weather data reported by Russian state television, winds at ground level weren't dangerously strong at the moment of the crash, but at an altitude of 500 meters (1,640 feet) and higher they reached a near-hurricane speed of around 30 meters per second (67 miles per hour). Above, emergency service members examine the crash site. 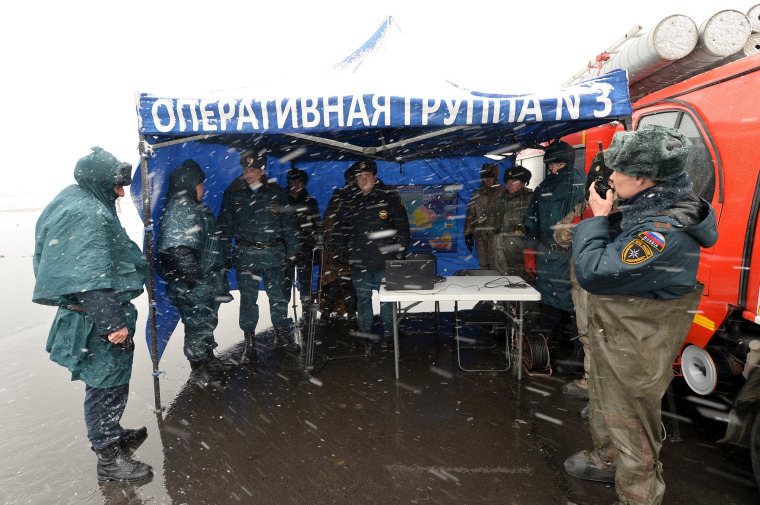 Emergencies Ministry members gather near the crash site of the Boeing 737-800 Flight FZ981. According to Flightradar24, the plane circled for about two hours before making another landing attempt. It said a Russian Aeroflot plane scheduled to land around the same time made three landing attempts but then diverted to another airport. 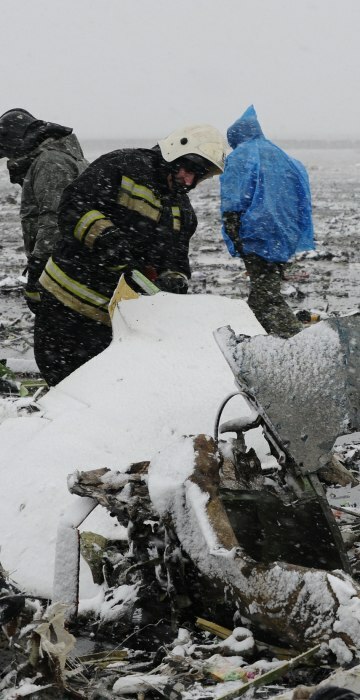 Above, emergency service members examine and clean the crash site. 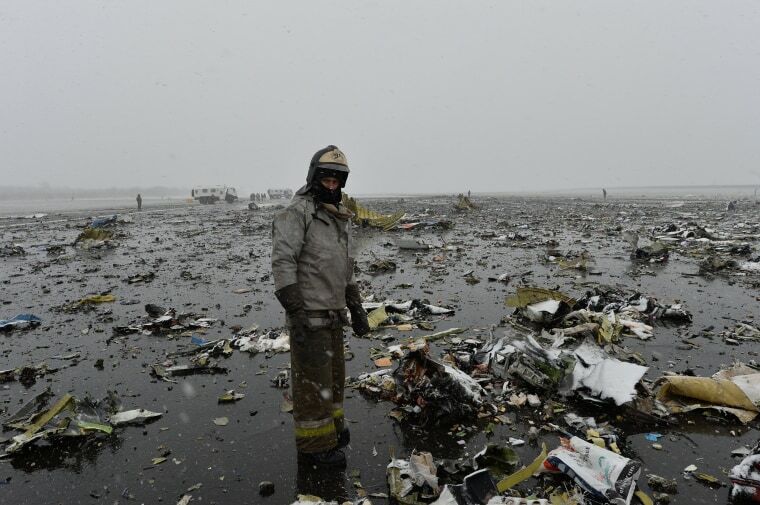 A Russian Emergency Ministry member stands next the wreckage of the crashed plane at the Rostov-on-Don airport. 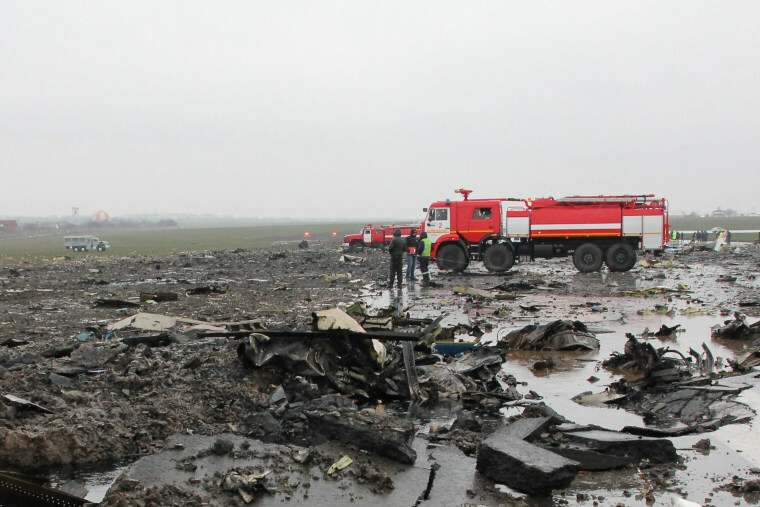 Emergency service members investigate the plane’s wreckage. A psychologist of the Russian Emergencies Ministry, left, sits next to a relative of a victim of the accident, center, at the Rostov-On-Don Airport on Saturday. 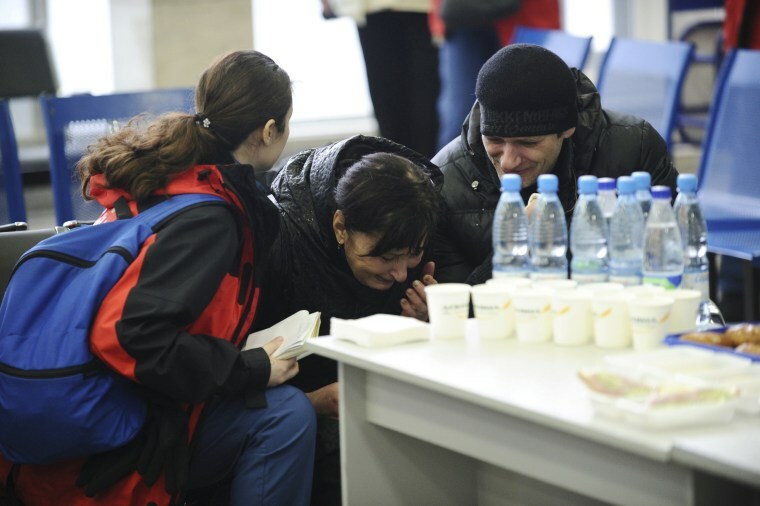 A psychologist of the Russian Emergencies Ministry, left, speaks with a relative of a victim at the Rostov-On-Don Airport. 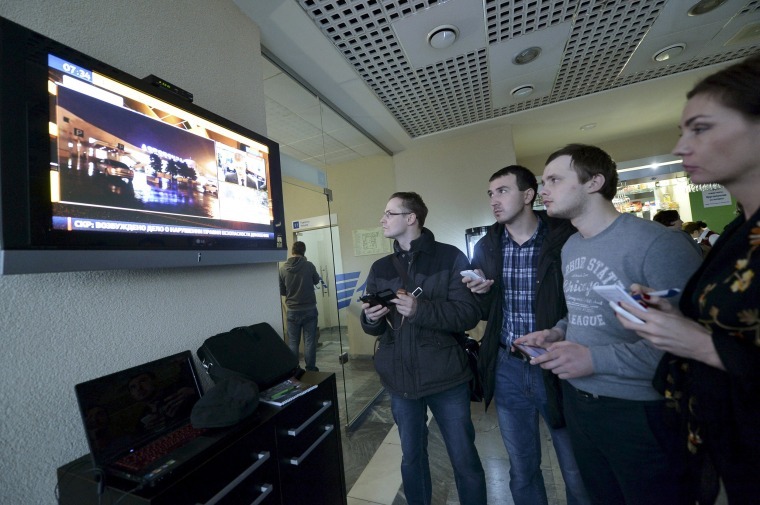 Journalists watch news on the crashed Flydubai Boeing 737-800 at the Rostov-On-Don Airport on Saturday. 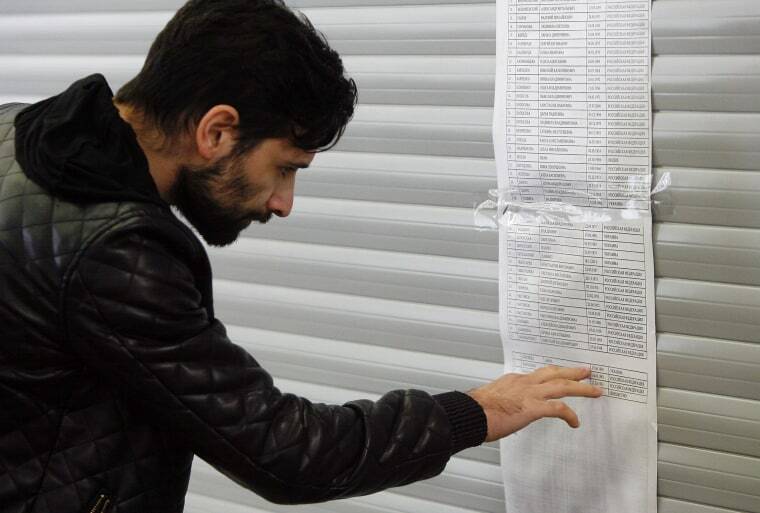 A man reads the passengers' list of the Fly Dubai airplane at the Rostov-on-Don Airport on Saturday.